Our gorgeous villa has 4 bedrooms,3 bathrooms & is fully air-conditioned. 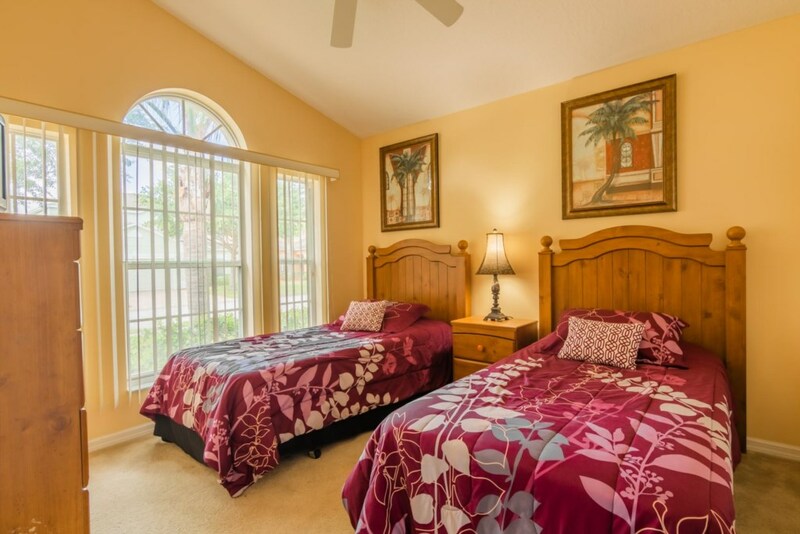 Guests can also enjoy a beautiful private pool & jacuzzi,a covered lanai (patio),games room & free wifi internet. 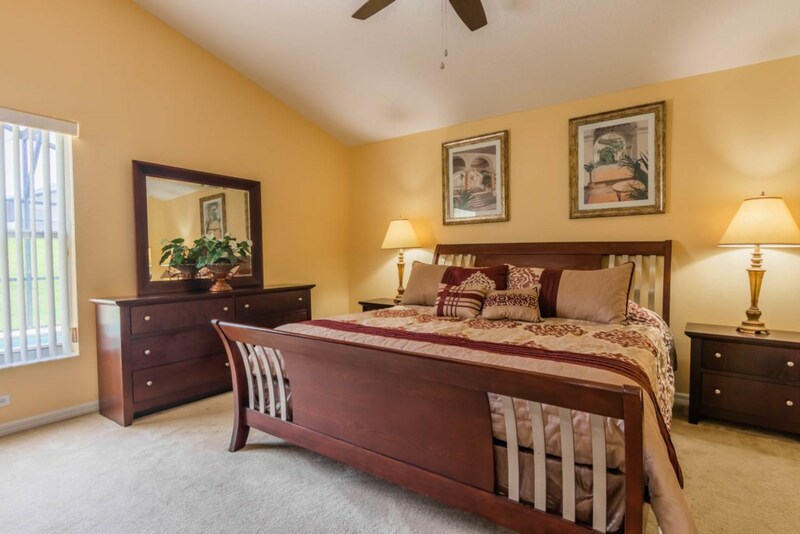 The villa is situated at the prestigious,gated community of Highgate Park in Davenport,which is just 15 minutes drive from Disney! The villa has 4 bedrooms.The master has a king sized bed,a flat screen tv and a lovely en suite bathroom with a large tub, shower & his'n'hers wash basins.The second bedroom has a queen sized bed and a flat screen tv and is adjacent to the guest bathroom.Bedrooms 3 & 4 have 2 twin beds & a tv in each and share a "jack & jill"bathroom. 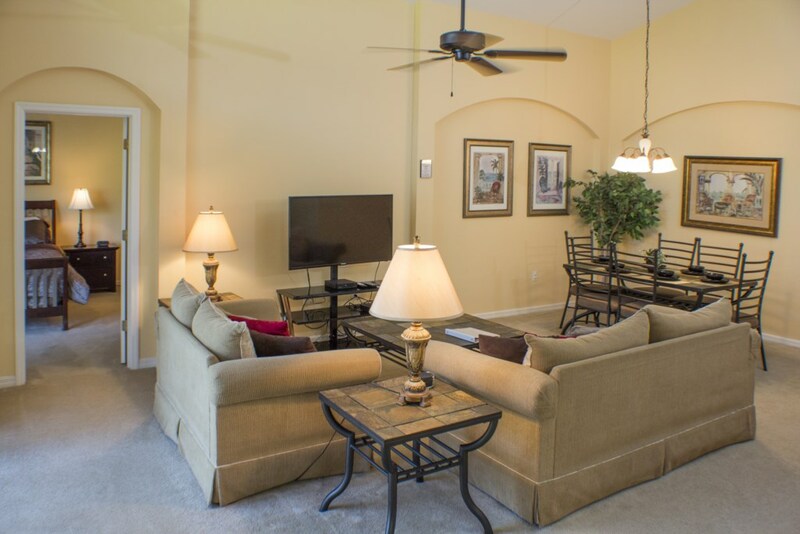 The Open plan living area has high vaulted ceilings, perfect for maintaining that cool,comfortable atmosphere in the warmth of Florida.There is a luxurious Family area with a beautiful suite to relax in and a further flat screen tv. 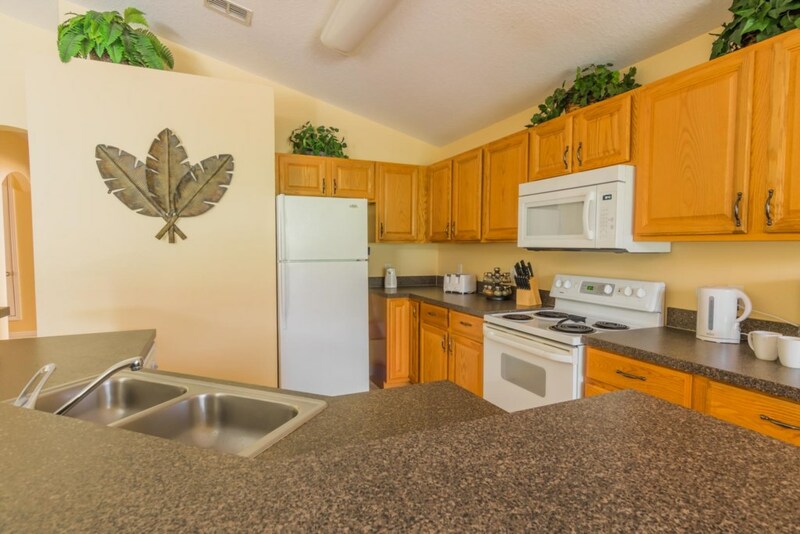 There is a fully fitted kitchen with a full size oven & hob,freezer,fridge & dishwasher. 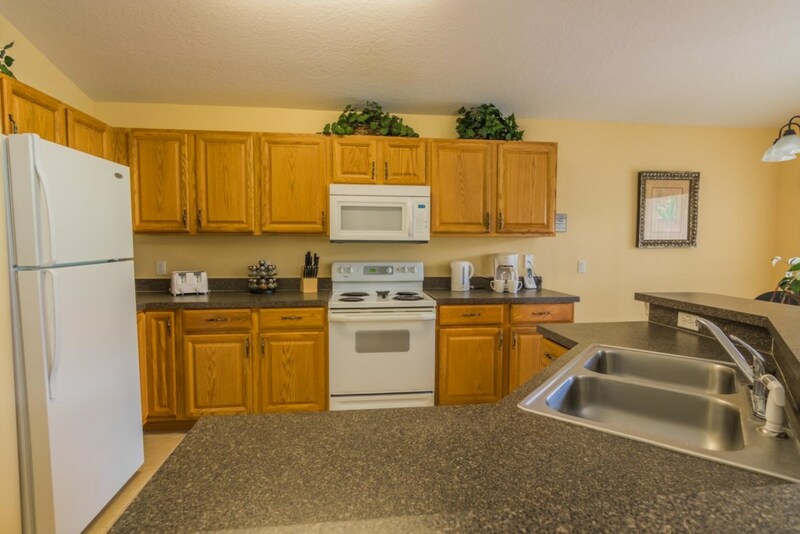 Guests will find everything they need for preparing a full meal.There is also a useful laundry room,fitted with a clothes washer & dryer, to help you keep up with the laundry whilst you are away. 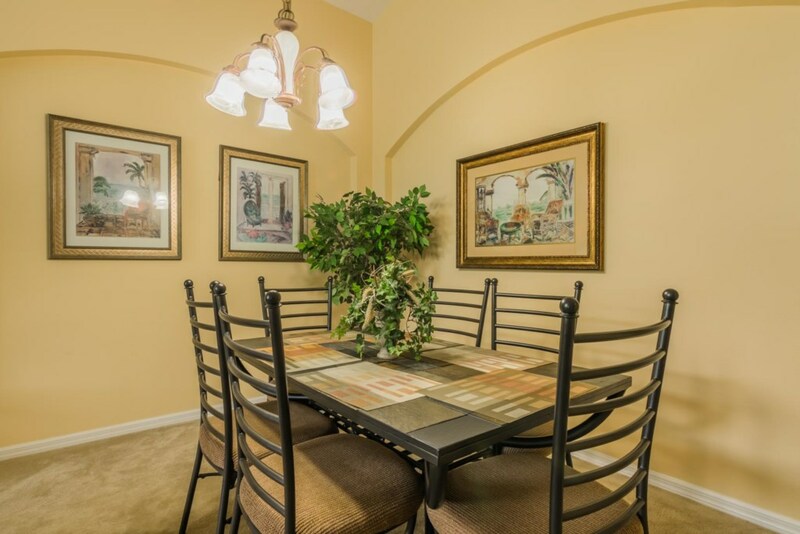 There's loads of dining space too! 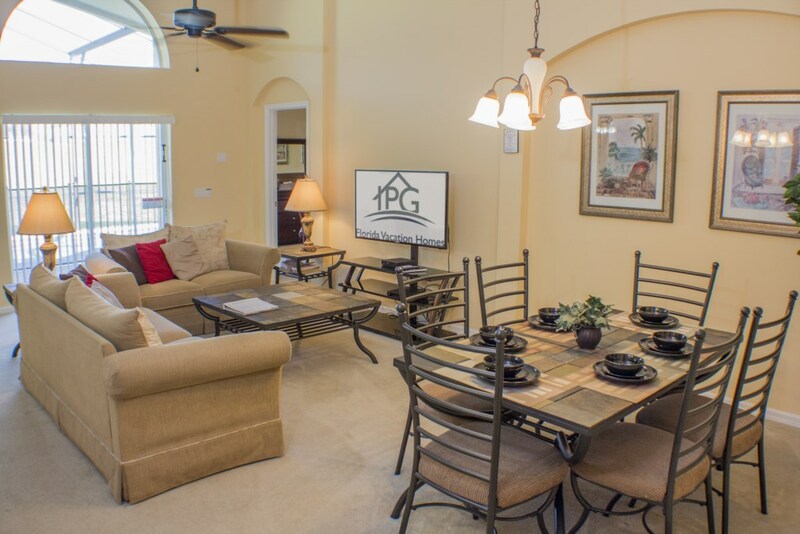 As well as a formal dining table guests can eat at the breakfast table or pool side. 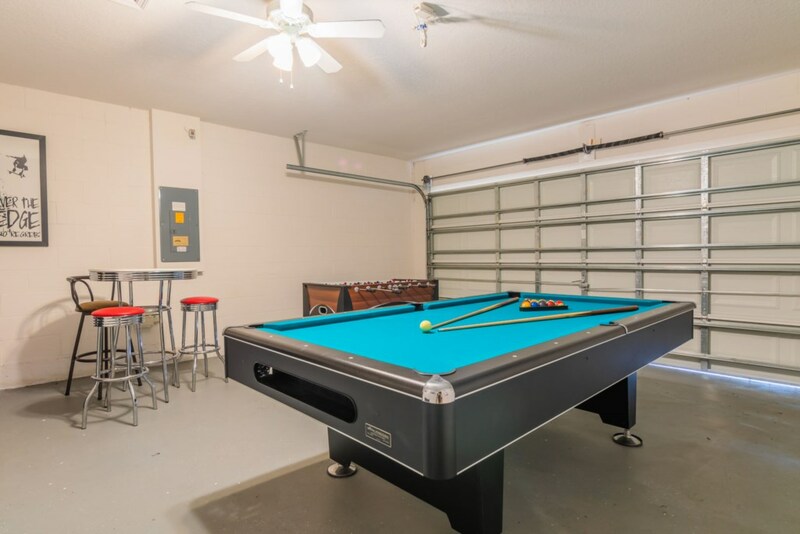 For guests of all ages the games room has foosball,air-hockey & pool-who'll be the champion on your vacation? 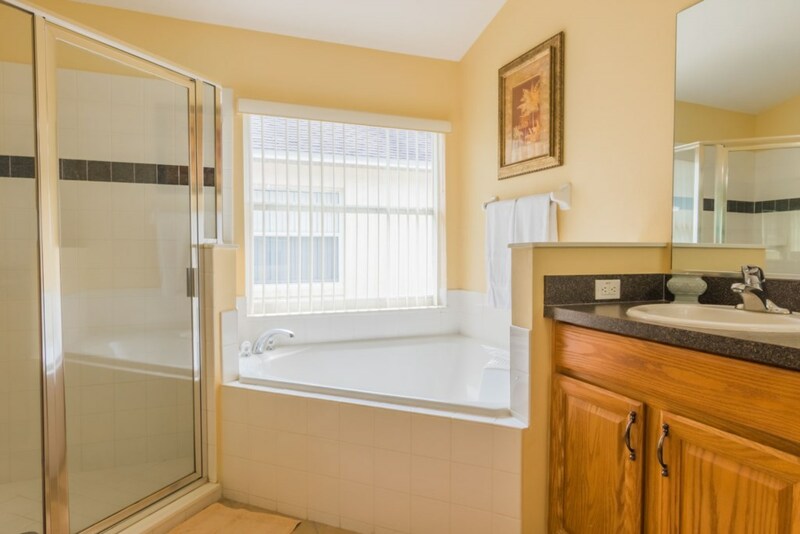 There is a lovely large patio around the pool & jacuzzi which is generously equipped with loungers & sun chairs for you to while away the day in or just relax after visiting all those wonderful attractions close by!! 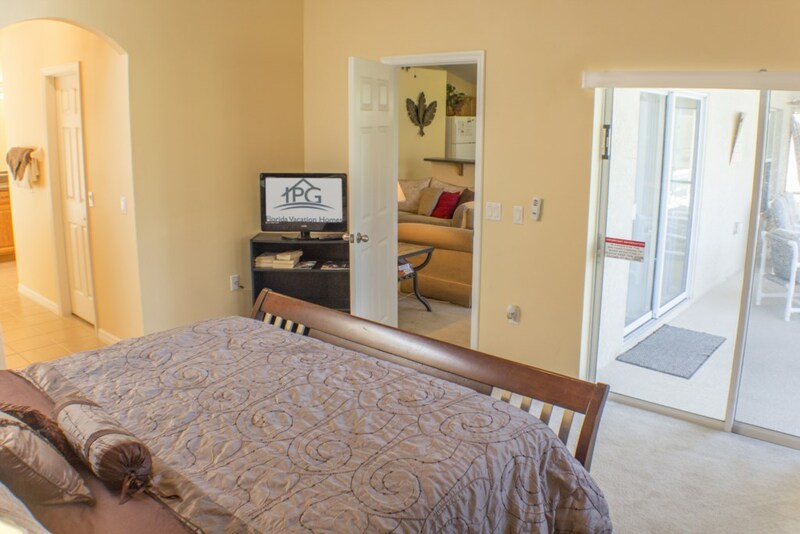 Highgate Park, Florida, place you right at the heart of the action. 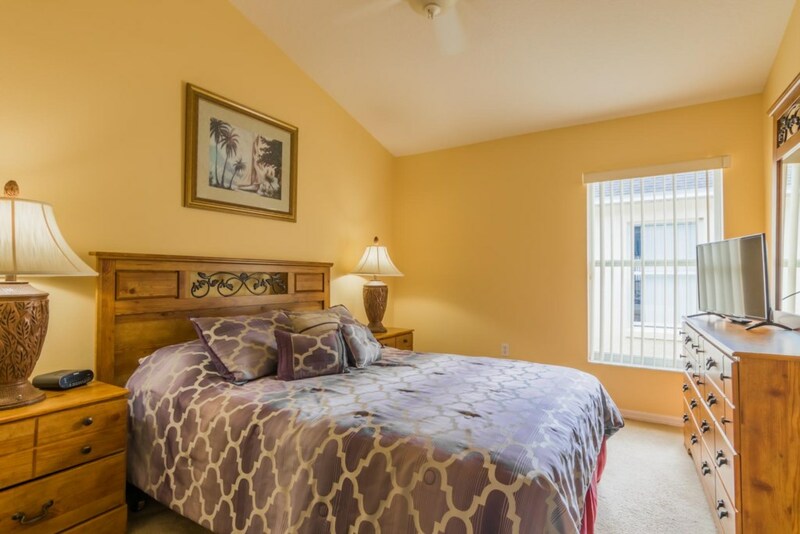 Located just 8 miles from Walt Disney World and less than 3 miles from one of Florida’s top golf courses, you wish want for nothing during your stay in the Sunshine State. 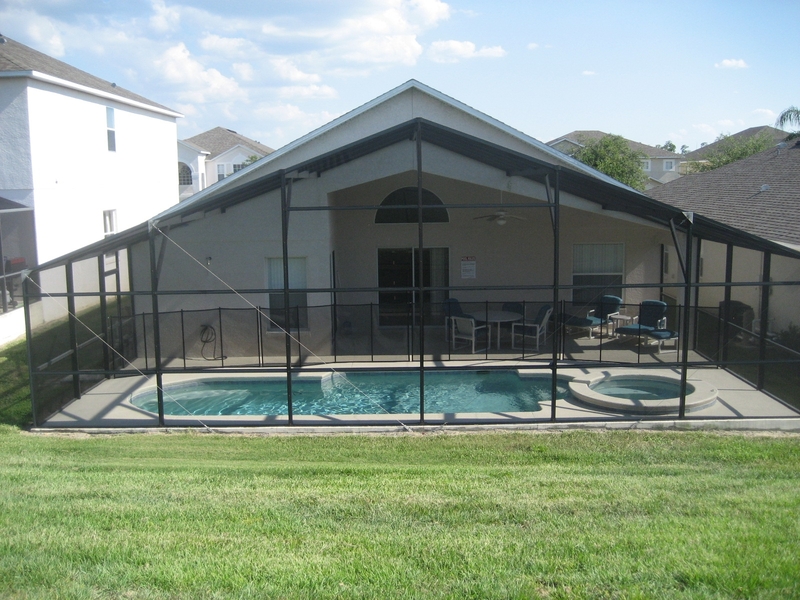 Highgate Park is a gated community located in the Orlando countryside. 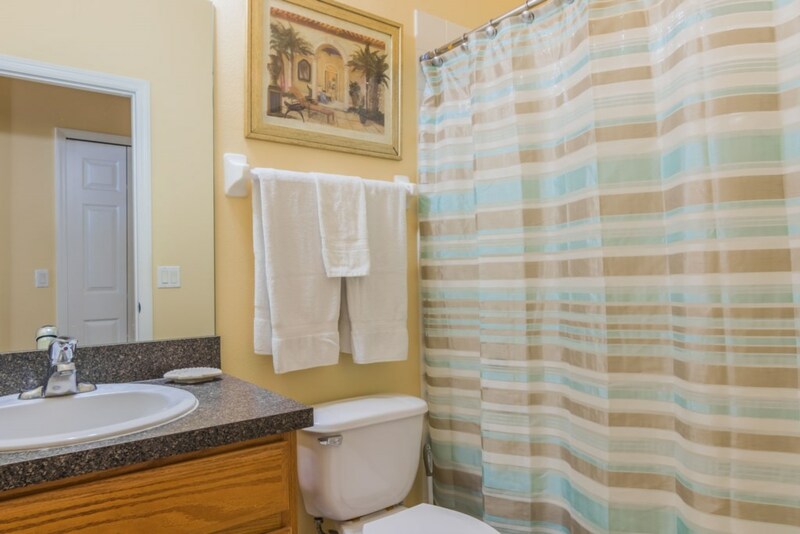 The community is surrounded by lush, rolling hills covered with orange groves and pine woodland, giving you a really peaceful ambiance when you return to your Highgate Park villa after a long day in the Florida sun. 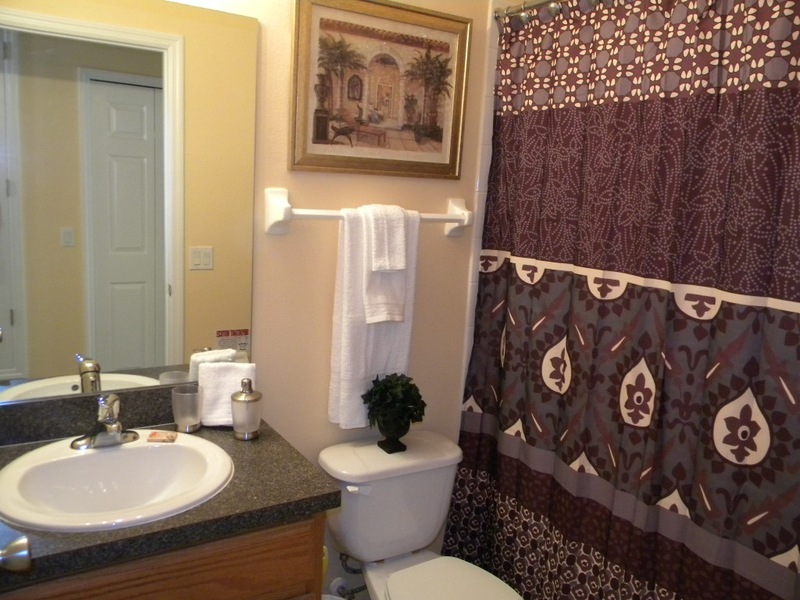 There is a huge amount to explore from a Highgate Park villa, Florida. 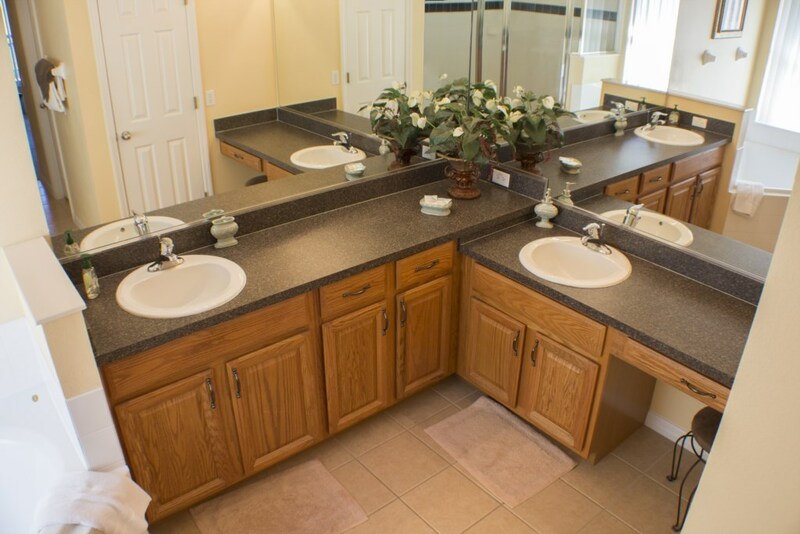 Within the community itself are plenty of facilities to enjoy. 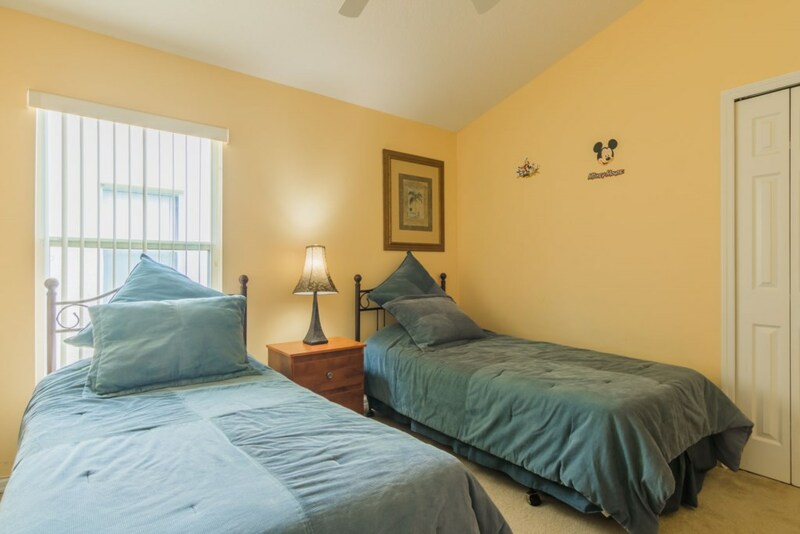 The large children’s play area will keep children amused when you have managed to tear them away from the theme parks, and there are also fantastically equipped games rooms in the majority of villas. You can also play tennis from a Highgate Park villa, as there are communal courts on site. 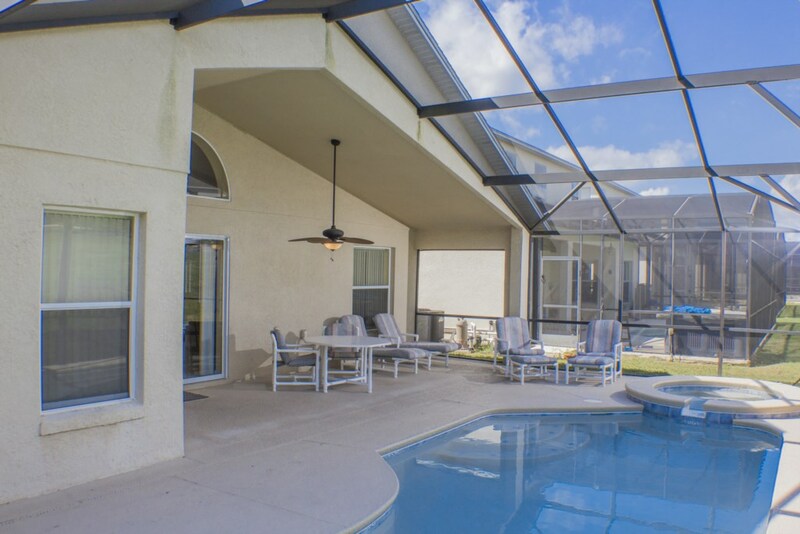 Conveniently centrally situated close to all the major theme parks, shops and restaurants, the road system allows easy access to either the Gulf or the Atlantic coasts and the chance to explore the whole of Florida. 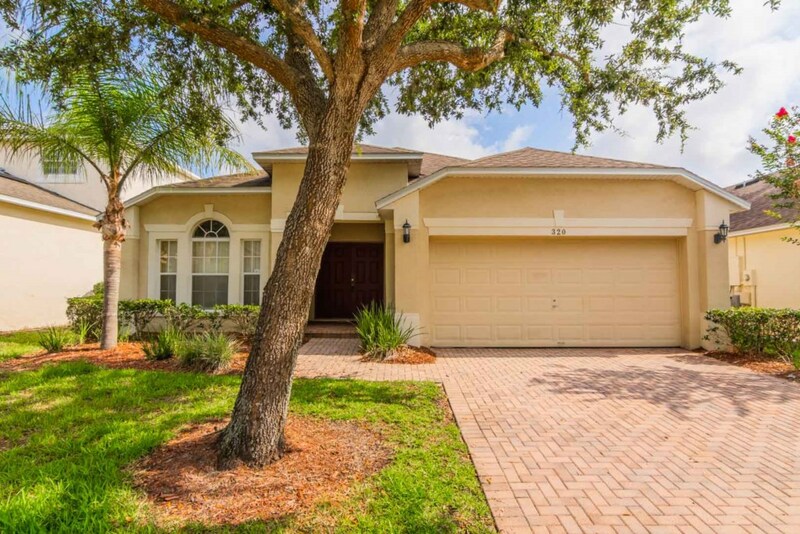 Orlando4Villas opinion,Highgate Park Kissimmee offers much for the family coming on vacation to the Orlando / Kissimmee area. Highgate Park is the envy of most communities in the area and actually backs onto a protected conservation area. 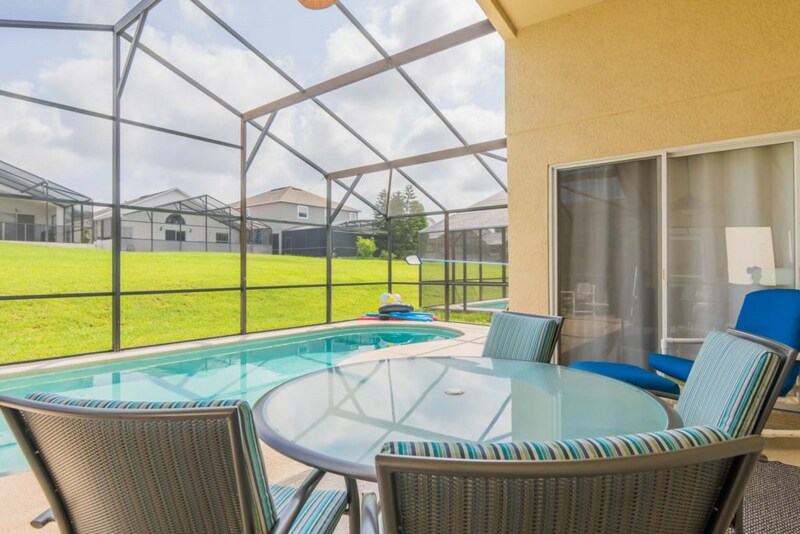 Situated only 15 mins from the Gates of Disney, and yet far enough away to enjoy those peaceful evenings relaxing by your own private pool. Orlando4Villas has the large selection of vacataion homes available for rent in Highgate Park.